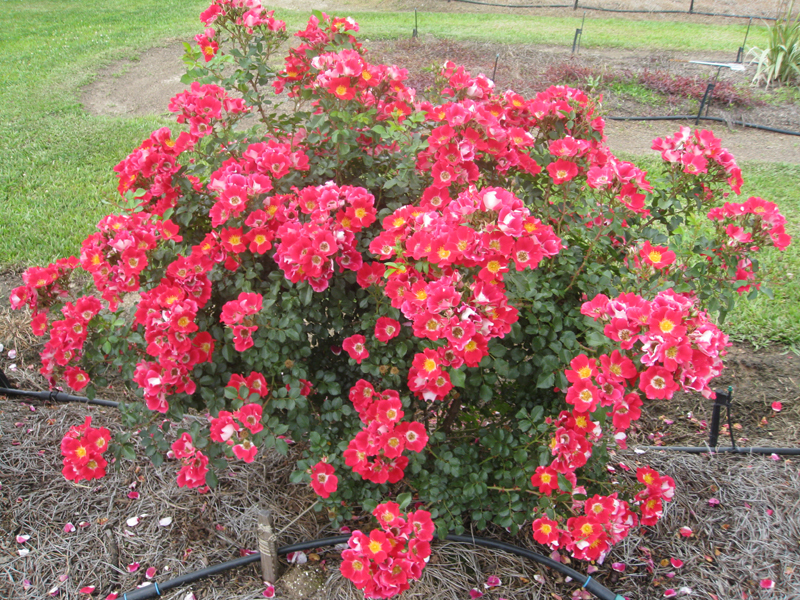 Comments: Require less frequent sprayings to control pest than do most hybrid teas. Produces deep cherry-red blossoms over a long flowering period. It has a slight fragrance. It is the first shrub to be name and All American.